For individuals who are disabled and therefore unable to work and earn and income, the receipt of federal Social Security disability benefits can be critical. By filing a claim for Social Security disability benefits, you may be able to recover monthly compensation benefits to help you afford your cost of living expenses. 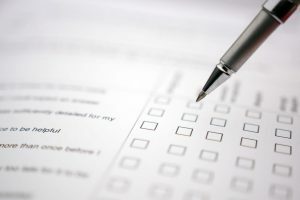 The following reviews the primary three stages of the Social Security disability claims process – for more thorough information, please contact our attorneys at The Comerford Law Office, LLC for a consultation. Documenting your medical condition and that you are unable to perform the work that you were able to do prior to your disability, as well as any work that is considered gainful activity. The initial application is characterized by filling out numerous forms and paperwork about you, your history, and your disability. It is essential that this information is filled out accurately and in full. In some cases, your initial application will be approved and your benefits will begin. In many cases, however, an initial application is denied, often times for medical reasons. If this is the case, you can file a request for reconsideration, which is a review of your case by a someone who did not participate in the original decision to deny your claim. You can submit any new evidence to support your request for benefits during this process, something that is highly recommended. The third – and almost always the final – stage in Social Security disability claim process is a hearing before an Administrative Law Judge (ALJ), which you may request if your request for reconsideration is not resolved in your favor. During the hearing, the ALJ will ask you questions about your disability and your inability to work, may call on a variety of witnesses – including those whom you know personally, and will give you an opportunity to present new evidence. There are multiple stages in filing a Social Security disability claim, including a further appeals stage if a hearing before an ALJ is unsuccessful. Within each stage, there are important steps to take to improve the chances of a claim’s success. At The Comerford Law Office, LLC, our Chicago Social Security disability attorneys have handled dozens of disability claims, and know what the Social Security Administration is looking for and how to approach the claim process for the highest chance of success. We will guide you through each step in the Social Security disability claim process, and can represent you if appeal is necessary.